With the shift from film to digital, a new view of the future of cinematography has emerged. Today’s successful cinematographer must be equal parts artist, technician, and business-person. The cinematographer needs to master the arts of lighting, composition, framing and other aesthetic considerations, as well as the technology of digital cameras, recorders, and workflows, and must know how to choose the right tools (within their budget) to get the job done. David Stump’s Digital Cinematography focusses primarily on the tools and technology of the trade, looking at how digital cameras work, the ramifications of choosing one camera versus another, and how those choices help creative cinematographers to tell a story. This book empowers you to both correctly choose the right camera and workflow for your project from today’s incredibly varied options, as well as understand the ins and outs of implementing those options. Stump sheds a light on the confusing advantages and disadvantages of shooting theatrical features using digital technology and what it can or can’t do. If you aspire to be a successful cinematographer in this new digital age, or if you already are a working cinematographer in need of a resource to help you stay on top of your game, this is a must-read book. "David Stump shares decades of sage experience, knowledge, and expertise in cinematography and the filmmaking process. 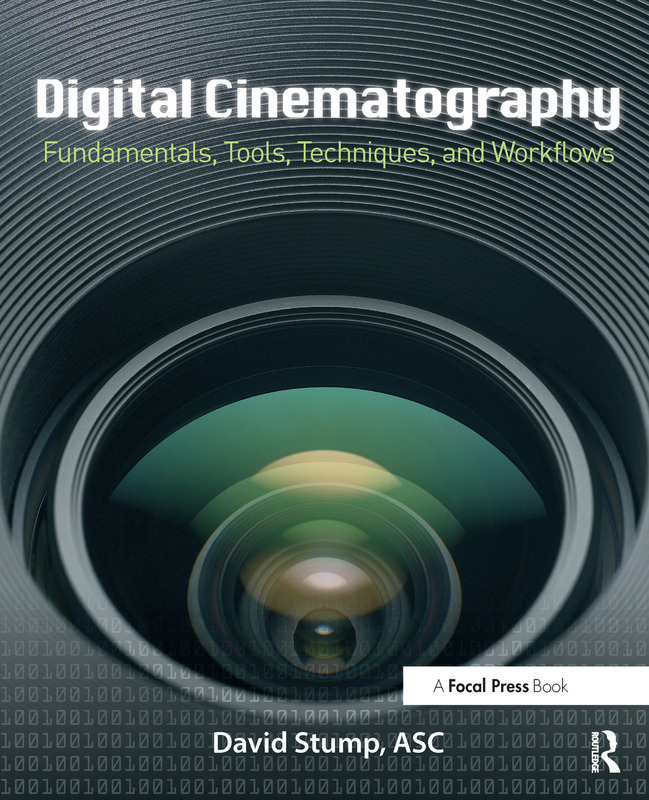 Including insight from various notables in respective fields, Digital Cinematography is an important, engaging book essential to understanding existing theory, tools, and applications for the aspiring and working cinematographer, filmmaker, and those interested in how and what we see." David Stump, ASC has worked on numerous motion pictures and television productions as Director of Photography, as Visual Effects Director of Photography, and as a Visual Effects Supervisor, garnering Emmy nominations and an Academy Award for Scientific and Technical Achievement. A member of the Producer's Guild of America (PGA), the Visual Effects Society (VES), the Society of Motion Picture & Television Engineers (SMPTE), the Academy of Television Arts & Sciences (ATAS), and the Academy of Motion Picture Arts and Sciences (AMPAS), Stump has worked in Digital Visual Effects for over 25 years, since the advent of Computer Generated Images for film. In 2001 he was accepted for full membership into the American Society of Cinematographers, where he is currently chairman of the Camera and Metadata Subcommittees of the ASC Technical Committee.